This past weekend Canada's major unions came out in favor of strategic voting as the best tactic for defeating Harper's Conservative government. 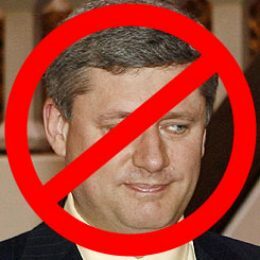 The Globe and Mail article 'Unions set to launch major anti-Harper offensive' explains that "Canada’s largest unions say if enough of their members vote strategically in key ridings across the country, Stephen Harper and the Conservatives will not get a fourth term in office." This in itself is good news for the many anti-Harper, pro-strategic voting Canadians. The G&M article says in part "Workers say their assault will begin shortly after Labour Day and will be the culmination of months of preparation. Union heads have been training workers across the country on election campaign basics while collecting data through polling and focus groups on which ridings to target and what messages resonate most with voters. The Union movement is in a unique place in that the biggest hurdle Canada's strategic voters face is access to the riding by riding polling information that is necessary to accomplish the task of voting effectively for the candidate in each riding with the best possible chance of stopping the Harper-Cons. The union movement has the resources and national coverage that small groups of individuals don't and consequently not only are they in a position to collect that much needed information but also in a position to make it generally available to all Canadians to help them in their strategic voting efforts to Heave Steve. As Jerry Dias said in the G&M article, "Unions used polling companies to collect data on voters who chose the Conservatives in 2011 by relatively small margins and could swing to the Liberals or the NDP this time around." IMO, were the major unions to release their riding by riding polling results publicly it would serve the union movement doubly in that it would help the strategic voting cause of ousting Harper and boost the PR image of the union movement generally. 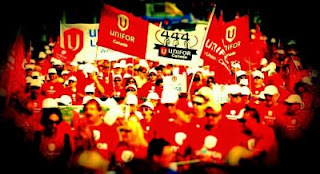 Hi President Dias, My name is Bob Wiley, i've been promoting strategic voting as the best option for Canadians in the Oct. 19th election for many months now and want to thank you and Unifor for stepping up to the plate and joining in the fight. Having just read the Globe and Mail article below it occurs to me that the Union movement is in a unique place in that the biggest hurdle strategic voters face is access to the riding by riding polling information that is necessary to accomplish the task of stopping the Harper-Cons. The union movement has the resources and national coverage that small groups of individuals don't and consequently not only are you in a position to collect that much needed information but also in a position to make it generally available to all Canadians to help them in their efforts to Heave Steve. IMO, were you to do this - release riding by riding polling results publicly - it would also serve the union movement doubly in that it would help the strategic voting cause and boost the PR image of unions generally.